In Chapter 7, the Court is not interested in taking and selling property except to the extent that it has equity in it… that is, to the extent that it is worth more than what you owe on it. Thus, the value of your property is very important. You are allowed to protect (“exempt”) equity in your residence up to $21,500.00 per spouse. You may also be able to exempt equity in real estate that you do not live in, but the amount of your allowable exemptions is less in that case. There is not one definitive way to measure “value”, but an excellent starting point is the “fair market value” listed on your property tax bill. You can telephone the county tax assessor for that information, or you can look it up online. “Equity” does not include the amount of any liens on the property, including first or second mortgages, tax liens, or reverse mortgages. In addition, the general rule of thumb is that about 10% of the fair market value of property is excluded from what counts as your “equity” because it would cost about 10% of the value of property to sell it though a realtor. Even though many debtors own real estate, the vast majority of Chapter 7’s are “no asset” cases where nothing is lost or surrendered. If you think you might have substantial equity in any property, you need to bring that up to the lawyer before you file. That is the way to avoid surprises. If you might lose property in Chapter 7 that you don’t want to lose, then Chapter 13 may be your best option. We can help you evaluate that with a high degree of confidence. CAN’T I JUST LEAVE THE HOUSE OUT OF THE CASE? No. But that does not mean that you will lose the property. For example, even though mortgages are listed (made known) in both Chapters 7 and 13, unless you choose to surrender the property, you continue to pay the mortgage directly on your own as those payments come due in the future. In Chapter 7, you list the mortgage (and all other secured debt), regardless of your “intentions” with regard to what you want to keep. If you are “reaffirming” a secured debt, that is, keeping the property and continuing to pay the debt on it, then you list it, and indicate that it is your intention to keep it. In Chapter 7 you can’t force creditors to accept your intentions if you are behind on the payments, and as noted above, the Trustee has real power over property if there is equity in it beyond what you are allowed to “exempt”. Safety in Chapter 7 requires that you make your questions or concerns clear to the lawyer. 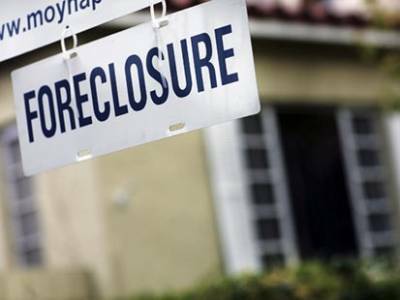 Chapter 13 is often filed to stop foreclosures where you are behind on the mortgage, and it is also used where you might lose the property in Chapter 7 if you have a lot of equity in it. In Chapter 13, most mortgages are paid directly, and not through the plan. In the usual case, the debtor makes mortgage payments after filing in the regular amount on the regular due date. Thus, only the “arrearage” (amount behind as of the date of bankruptcy) is paid by the Trustee (not by you directly) “through the plan”. The Chapter 13 Trustee will catch up the “arrearage” by paying the mortgage holder over time with your “plan payments”. WHAT HAPPENS IF I FALL BEHIND ON MORTGAGE PAYMENTS AFTER I FILE CHAPTER 13? If your regular mortgage payments fall behind after you file your case, your mortgage lender may file a motion requesting “relief from the automatic stay”. “Relief from the Automatic Stay” only affects the collateral (the house), but the rest of the Chapter 13 continues, and is not subject to dismissal on this type of motion. In a “Motion for Relief from the Automatic Stay”, the creditor is asking the court to remove the protection that it initially provides… usually to permit foreclosure. A hearing is assigned. It is usually resolved in your favor (without foreclosure) if you catch up, or if you pay in part of the default and come to a mutual agreement with the lender (negotiated by your lawyer) to allow you to catch up the rest of the default over a period of months. It is important to assist the lawyer to reach the best result in these situations. WHAT HAPPENS TO MY HOUSE IF MY CHAPTER 13 IS DISMISSED? 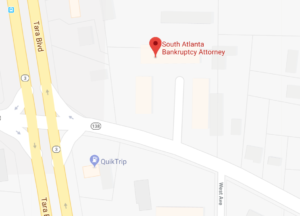 If a Chapter 13 is dismissed, you lose the protection of the bankruptcy court, but you do not lose any property to the court. Your relationships with your creditors simply become governed by state law as they were before you filed. To the extent that any of your debts have been paid through the plan, your creditors must give you credit for those payments having been made. The bankruptcy court can’t reduce payments on your first mortgage under present law. However, sometimes you can “strip” a second mortgage (remove the lien and treat the debt as unsecured) where the value of the property is less than the amount owed on the first mortgage. In Chapter 13, you have to complete your plan successfully before a second mortgage is permanently “stripped”. In both chapter 7 and in chapter 13, this is a changing area of the law. While “lien-stripping” can dramatically help your situation, but it is not automatic, and should be dealt with cautiously. Of course, even a first mortgage can be reduced by “modification”. This is basically a mutual agreement between you and the mortgage holder to change your note. Modifications during a Chapter 13 are not rare. They do require court approval however, because how much you pay one creditor usually affects how other creditors will be paid. This information is intended to be general. Please call us at 678-519-4143 to discuss your particular situation with one of our lawyers.